Smarter Check-out – Skip stages in the check-out process if there is only one choice. A pie chart showing the total stock broken down by status, listing value and count. 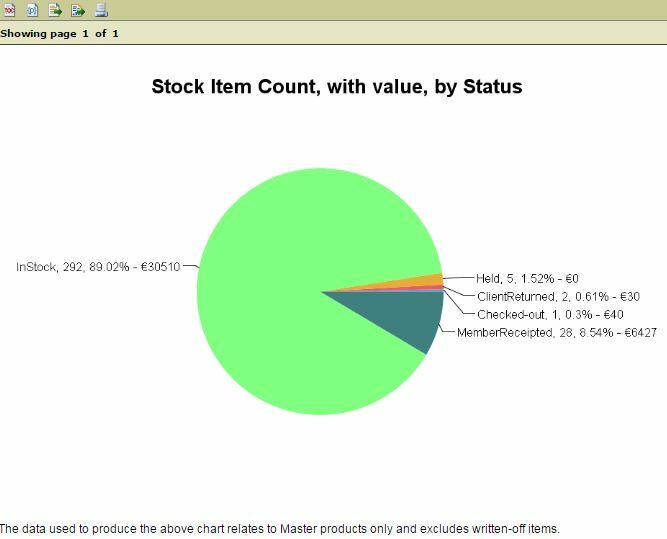 This report/graphic is a brilliant way to get an instant picture of the stock utilisation within your library. Assistive technology (AT) changes lives, giving individuals with disabilities the tools they need to live life to the full. At ATLibrary we aim to help health and education professionals make that happen, improving access to the right AT devices worldwide.